"Are you going to finish that?" —you, always. 1. A tortilla blanket to help you fulfill your dreams of being wrapped in a giant burrito. 2. A game of ice cream ping pong so you can brush up on your sweet moves. 3. A portable slow cooker to bring to work when a limp PB&J just isn't going to cut it. 4. A box of ChocZero Keto Bark — a tasty treat with almonds and sea salt that's sugar-free and low carb. Get two boxes from Amazon for $14.99 (also available with hazelnuts). 5. A pizza night-light so you can fall asleep to the greasy glow of your favorite food. 6. A set of toast coasters (toasters?) for tabletop protection you can ~crust~. Get a pack of eight from ModCloth for $10. 7. A pajama set that looks cute enough to eat. Get it from Amazon for $11.99+ (available in sizes XS–XXL and 36). 8. A book featuring 1,000 different foods you need to try before you die. This is one bucket list that's easy to swallow. 9. 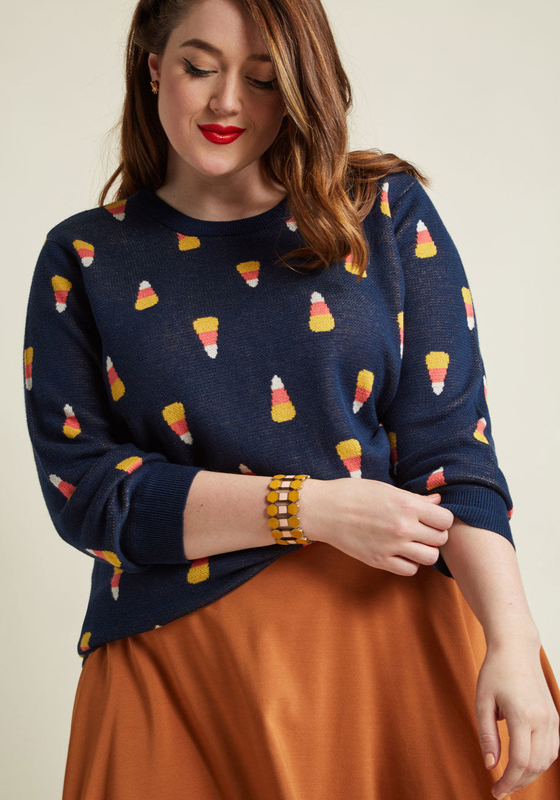 A pullover sweater dedicated to one of the best Halloween candies. There, I said it — FIGHT ME! 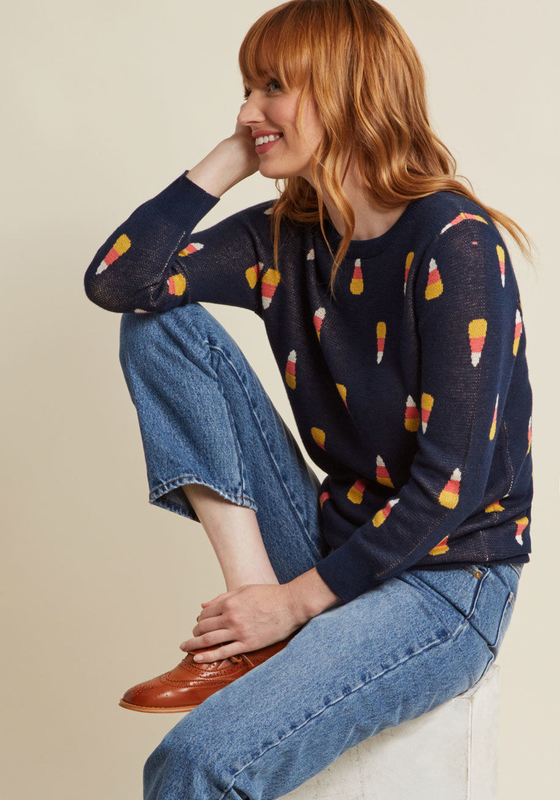 Get it from ModCloth for $55 (available in sizes XXS–4X). 10. A speedy egg cooker that can make hard boiled, soft boiled, poached, and scrambled eggs. Oh, and omelettes! Get it from Amazon for $19+ (available in four colors). 11. 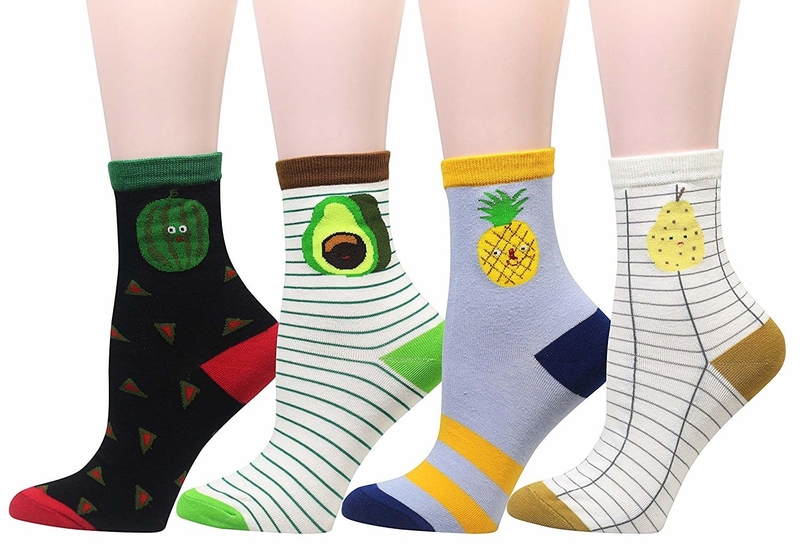 A set of wacky, food-themed socks so wonderful, you'll never want to wear shoes again. Get a set of four from Amazon for $10.99 (also available in 16 other designs). 12. A print of a hungry pug you'll find more than a little relatable. Get it from BCollective on Society6 for $17.99+ (available in sizes Mini–XL). 13. A beautiful glass and cork jar fit for your equally gorgeous dry foods. Display that pasta with pride! 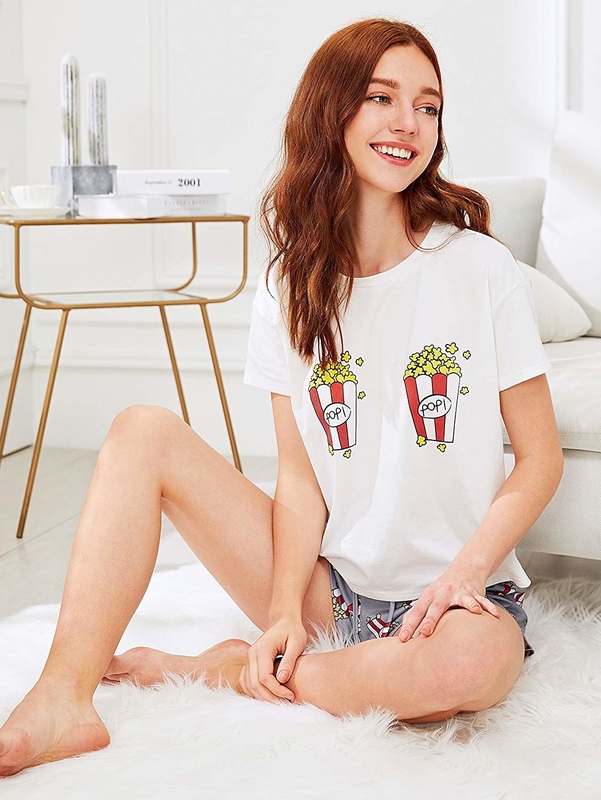 Get it from Urban Outfitters for $13+ (available in sizes S–L) or Amazon for $12.82+ (available in sizes 20 oz–85 oz). 14. A cute, slow rise squish toy that's to ~fry~ for. Get it from Amazon for $2.99 (also available in 30 other designs). 15. An oven mitt for all you impatient eaters who would rather microwave than wait for the oven to preheat. Get it from ModCloth for $15 or Amazon for $12.99. 16. A berry-shaped colander that will let you wash and serve your berries in one fluid motion. 17. A bottle of hot honey you'll love so much, you'll look into getting a holster for it so you can pour some on every meal. See my review that explains why you need hot honey in your life. 18. A five-pound bag of Haribo gummy bears that might actually last you more than a week — maybe. Also available in this listing: cherries, grapefruit slices, cola bottles, strawberries, frogs, and dinosaurs! 19. A forktula to attach to your fork so you can get every last drop of that amazing vodka sauce. 20. 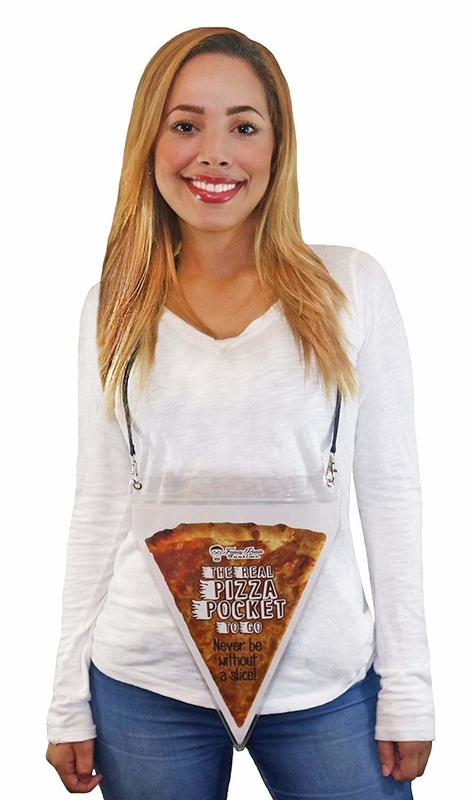 A pizza pocket you can hang around your neck, so you can be as innovative as Stanley Hudson when the hunger strikes. 21. A sleek air fryer perfect for satisfying your fried food cravings without having to break out of a vat of oil or a deep fryer. Air fryers make your frozen foods extra crispy so some consider this a nice alternative to a deep fryer. Check out the deal with air fryers and why they're an awesome addition to any snack-lover's kitchen. 22. Plastic bag handles to help you carry your massive grocery store hauls home without those horrible indents in your arms. 23. A pack of beeswax wrap sure to keep your food just as safely wrapped as cling wrap, but without as much environmental harm. These reusable wraps are great for people who know they're only going to keep leftovers in the fridge for .2 seconds before they devour them. Get a pack of three from Amazon for $19. 24. A mini waffle maker perfect for whipping up a quick and adorable meal for breakfast, second breakfast, and first lunch. Picture this: You have a container of waffle mix ready to go in the fridge. Any time the waffle cravings hit, you can throw a little batter in this helpful babe and have a single waffle in minutes. Get it from Amazon for $9.99+ (available in 17 colors). 25. A platypus-shaped spatula that will be your best friend when you're trying to get the last bit of peanut butter in the jar. 26. 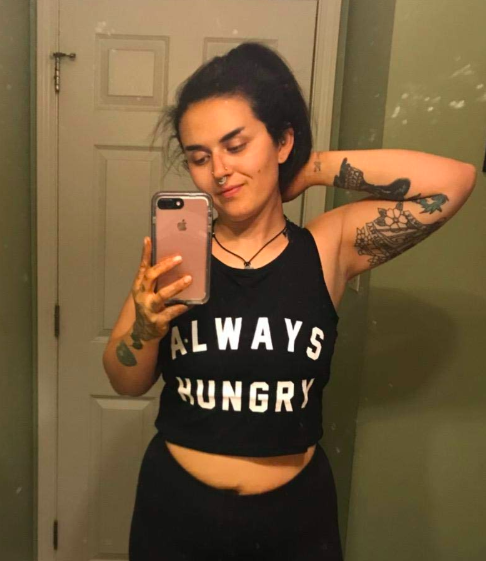 And a crop top so you can look like snack while looking for a snack. 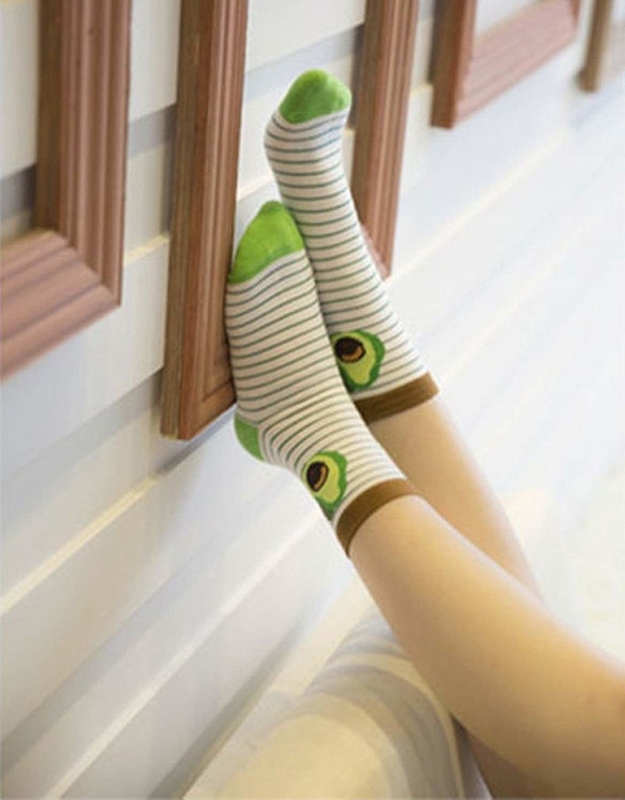 Get it from Amazon for $4.99+ (available in sizes XS–XL and seven colors).